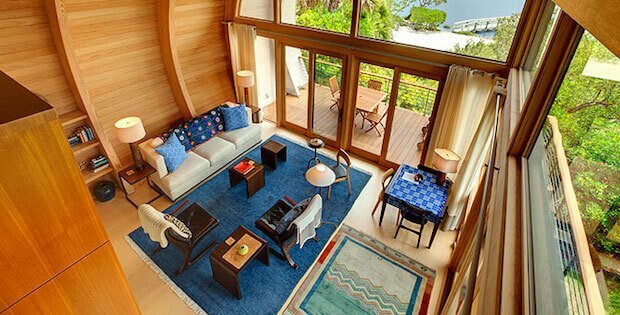 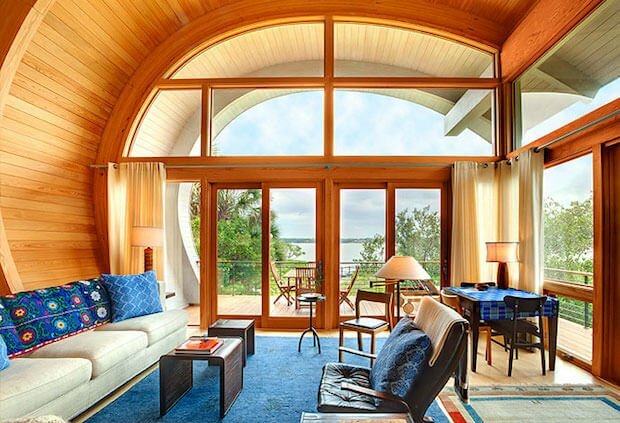 Located on a barrier island, Sweet Sparkman Architects took inspiration from its site, and decided to integrate the unique curved shape of the surrounding live oaks along Sarasota Bay into the design of this guest residence. 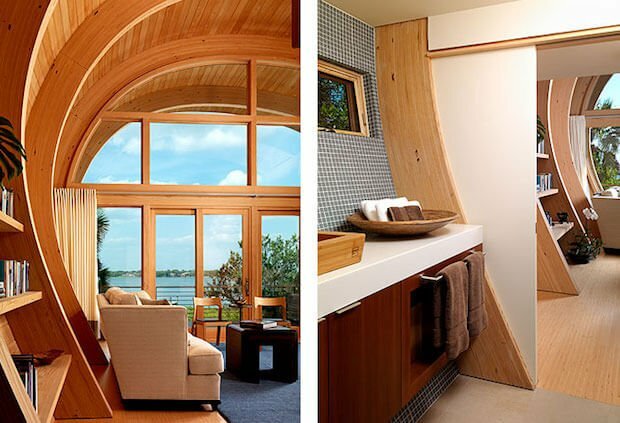 There is one bedroom, a bathroom, and a spacious living area with kitchenette. 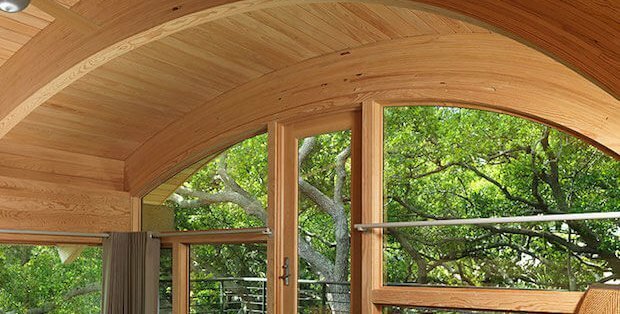 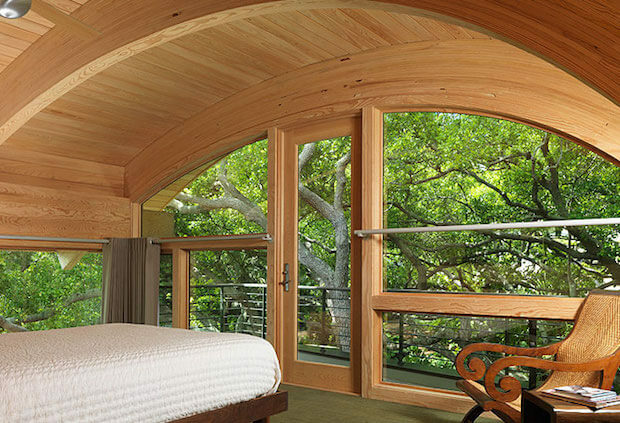 Curved glulam pine beams, which are anchored to the elevated concrete slab at their base, curve up and over the entire space, reflect the arching quality of the live oak limbs. 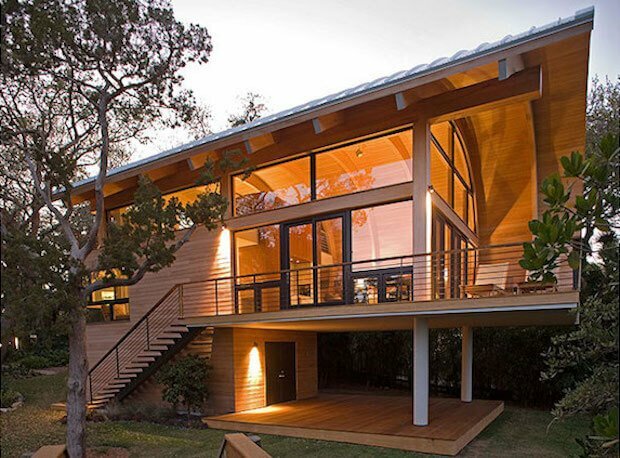 Ship lap cypress siding is used to clad the exterior walls and the interior walls between the glulam beams.